A very British beach picnic. 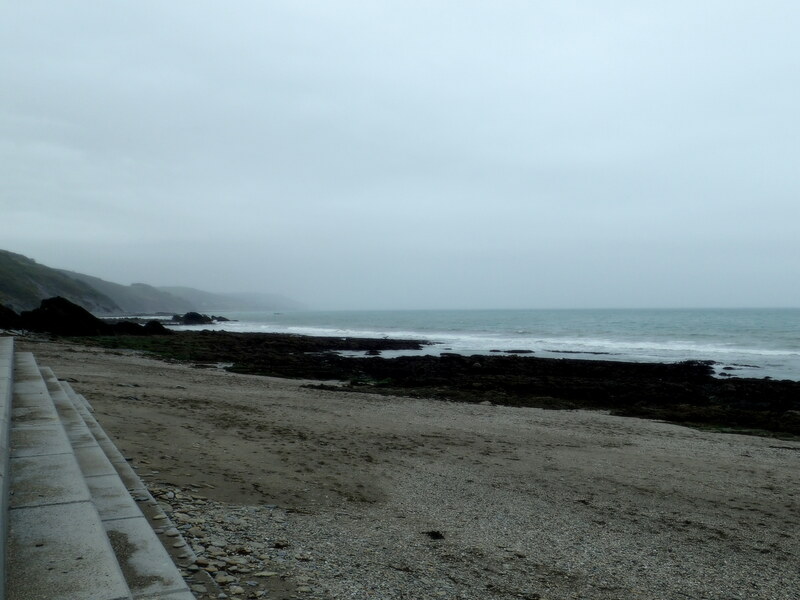 It’s bank holiday Monday and, by rights, the beaches should be packed with tourists, but this is a British bank holiday complete with the standard issue of drizzle and greyness. We seem to be the only people who’ve come for a picnic today. Cornish Rock Pools junior and his Dad undertake mega-engineering projects on the stream while I explore the rock pools, eager to put my new camera through its paces. It seems that the wildlife has also gone to ground, as though the animals have moved further out to sea during the heavy rains. The regulars are still here though, lurking in the murky water. Green shore crabs abound among the rocks. 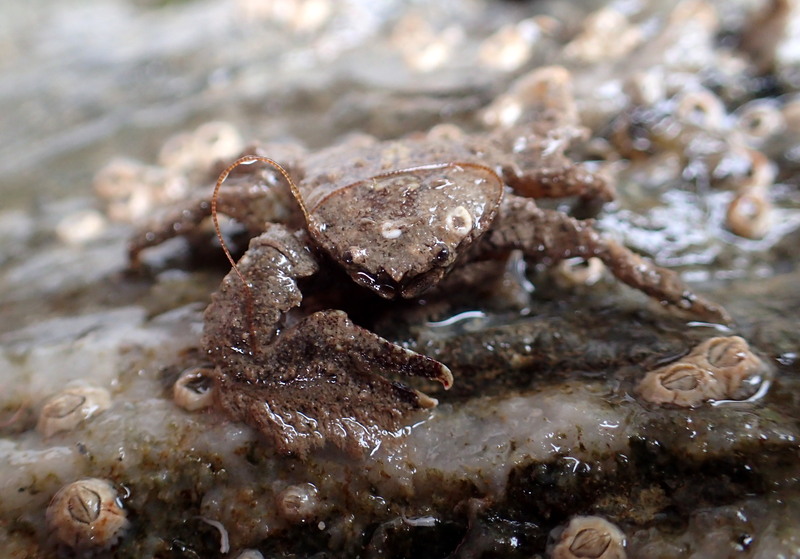 Under almost every rock there are young edible crabs shunting sand over themselves while larger green shore crabs run for cover. In a pool that threatens to over-top my wellies, I find a pheasant shell going about its business. I can barely see it in the silty water as it makes its way along the red seaweed. 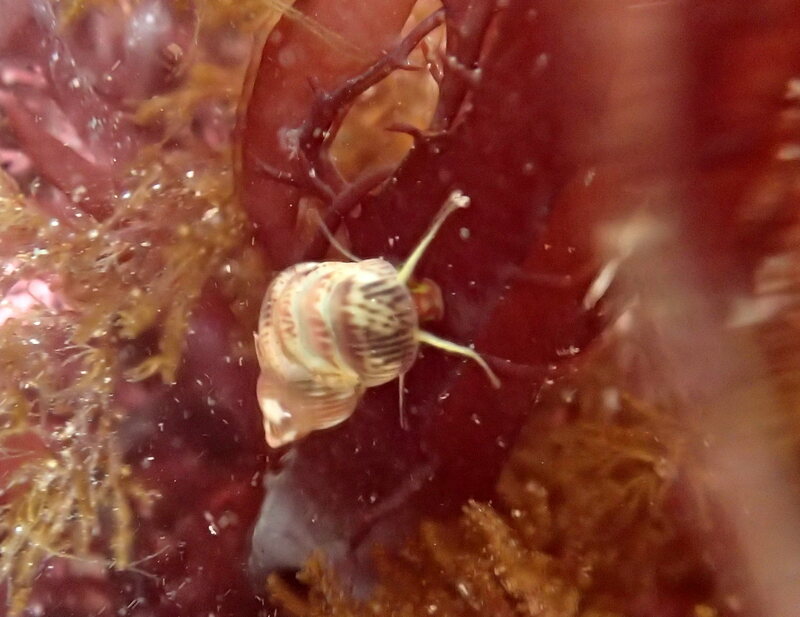 Under the camera, its neat maroon stripes become more visible and I can see its tentacles flopping over the edge of the weed. A grey heron is fishing in the farthest pools. As the waves begin to slosh up the gulley, a cormorant flies in and takes up position behind the heron, where it stays for the next half hour. I hunt the mid-shore for the ever illusive starfish, Asterina phylactica. 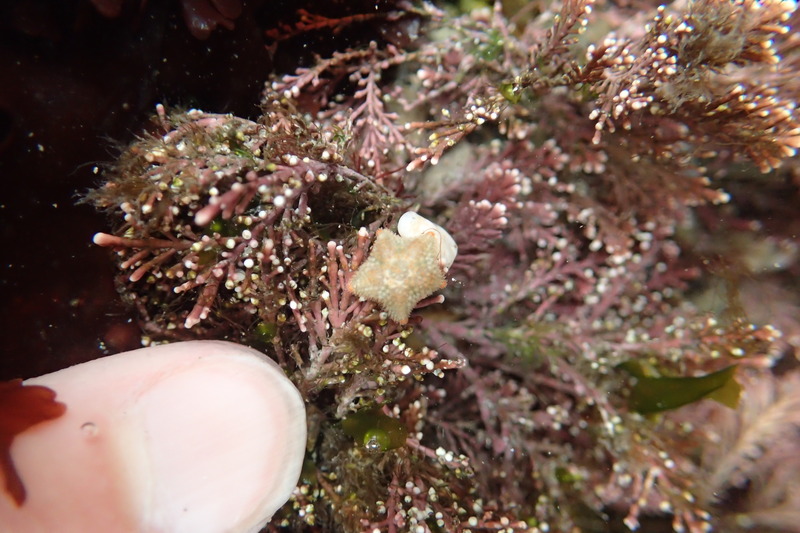 The first Asterina phylactica starfish I find is especially tiny. The first of these minute starfish I find is so small that I can barely see it among the weed. 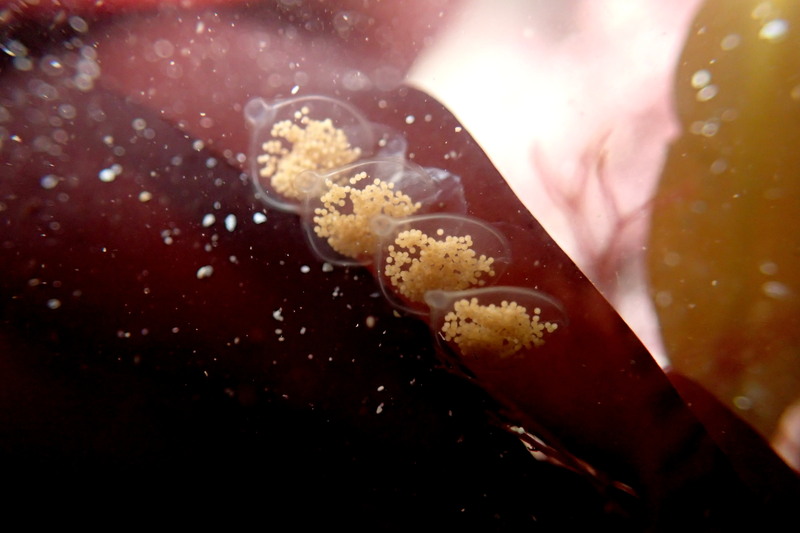 It moves remarkably quickly, sliding round the branching tuft of pink coralline seaweed and disappearing from view each time I try to focus on it. Other half sidles over and asks about the sandwiches. I realise I’ve been staring into this pool for way too long and somehow I’ve managed to soak my fringe and my coat sleeves in my enthusiasm, but I’m not quite ready to give up. Eventually I’m rewarded by finding a larger, brighter specimen, which I photograph with numb fingers. A slightly larger, more brightly coloured Asterina phylactica starfish. 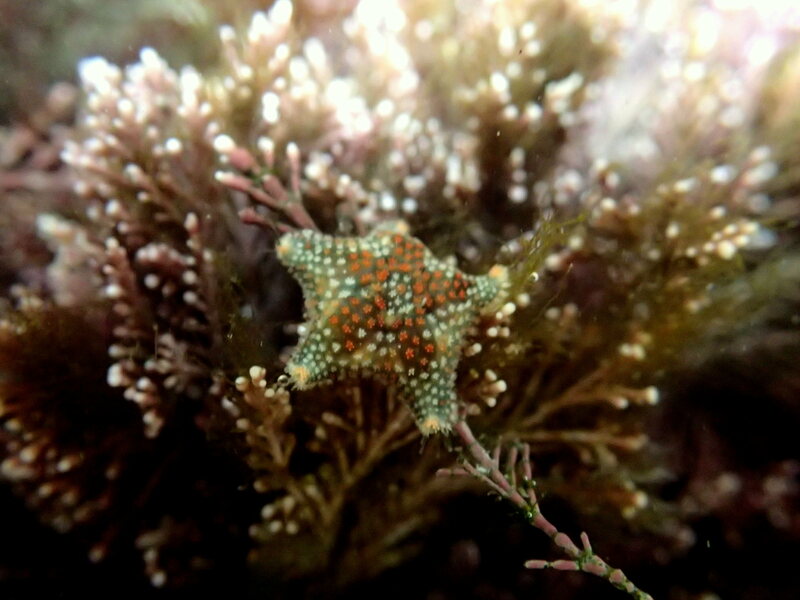 Asterina phylactica starfish – well worth the time spent searching. The drizzle sets in properly as we begin our picnic. 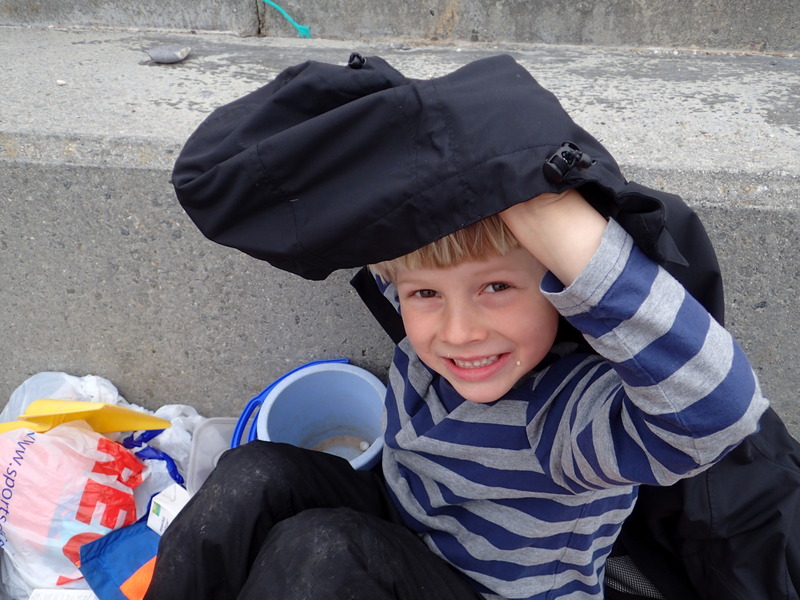 Cornish Rock Pools junior builds a shelter under his Dad’s coat and happily munches on sandwiches and biscuits. I flex my fingers and am just beginning to sense the return of some sort of blood flow when I remember the bucket. I definitely had it and now I don’t. Other half and I mount a search party, but he heroically sends me back to the chocolate digestives while he continues the hunt. Cornish Rock Pools junior makes his picnic shelter. After several long minutes of searching, the tide and mist closing around him, he lifts the bucket aloft and junior and I clap and cheer with our mouths full. Soon the cliffs are disappearing in the fog and the rain sets in properly. 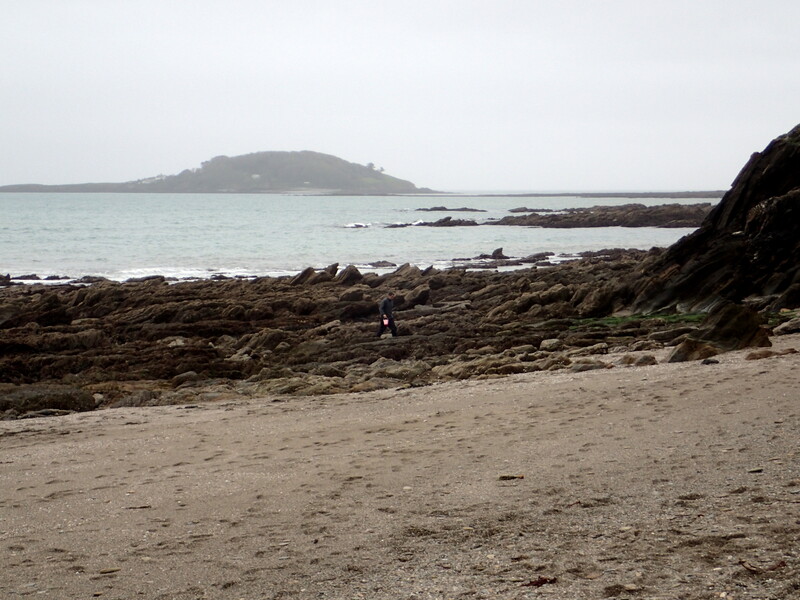 As the oystercatchers sweep in, we hastily pack up our very British picnic and leave the beach completely deserted. 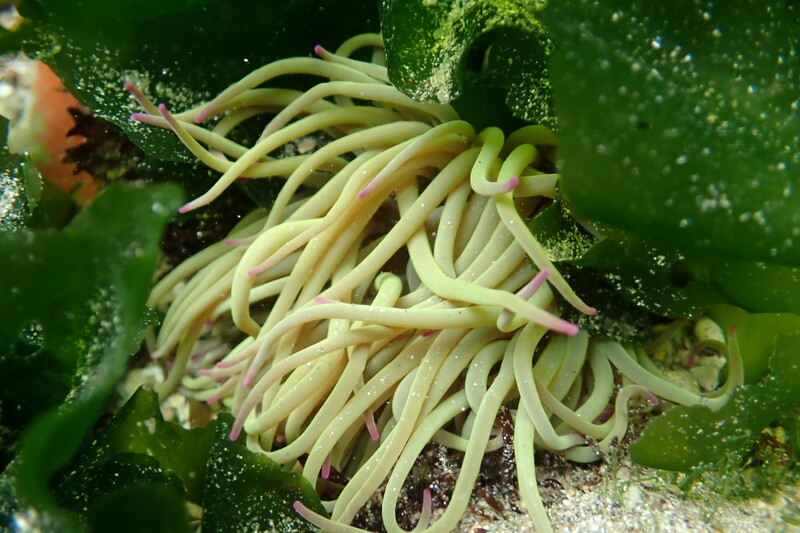 A snakelocks anemone among the sea lettuce. Wonderful! And typical bank holiday weather hehe! 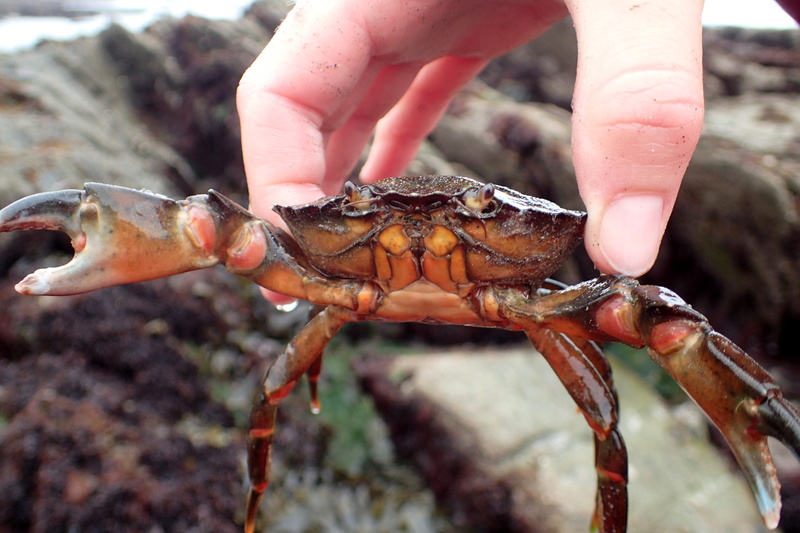 It’s very inspiring to read about your rockpool finds – I need to go rockpooling more often! Thanks, Megan. So glad you’re enjoying the blog and, yes… hope you get down to the beach soon too. 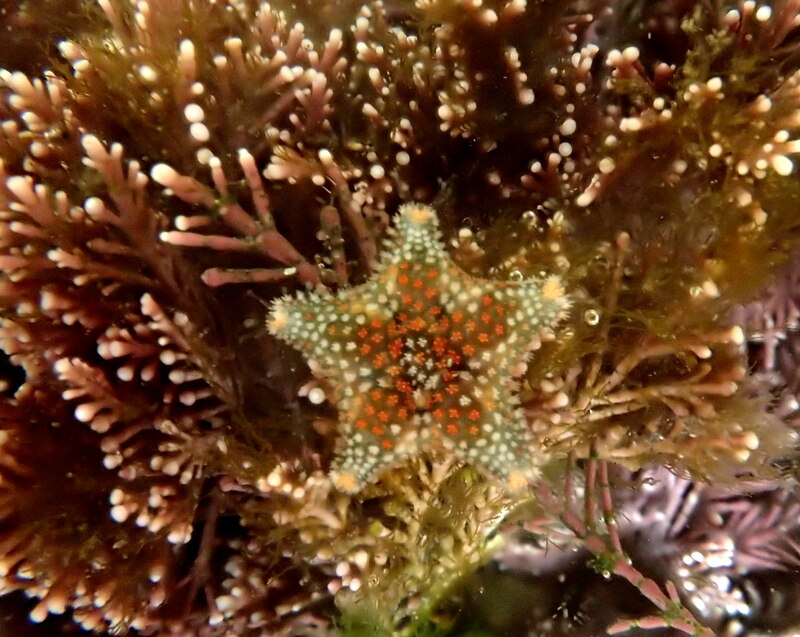 It’s a great time of year in the rock pools. I’m at the beach quite often – I work at the Chesil Beach Centre (also at Lorton Meadows), but I don’t get to go out often enough looking for beasties!